Wildlife groups from around the world are urging the Mexican government to take urgent action to prevent the extinction of the “little sea cow”, the world’s smallest porpoise, known in Spanish as the vaquita marina, currently the most endangered cetacean in the world. This particular porpoise is only found in the upper sections of the Sea of Cortés (Gulf of California), and fewer than 100 are thought to exist. Scientists say that gill-net fishing must be eliminated in the little sea cow’s native habitat for its population to have any hope of recovering to a sustainable level. Mature females will usually only give birth to one calf every two years. Even with a total ban, it would therefore take several years for natural increase to boost the population. In the port of El Golfo de Santa Clara studies have suggested that gillnet fishing is responsible for approximately 39 vaquita deaths a year. According to Jo Tuckman, writing in The Guardian, environmental groups blame the decline of the popoise population on a “booming illegal trade in the totoaba fish (mistakenly called “toboada” in The Guardian), driven by Chinese demand for its swim bladder, which is believed to have medicinal properties.” Chinese fishermen are alleged to have overfished a similar fish in their own waters, leading to a sharp increase in demand for imports of totoaba. Fishermen in the Sea of Cortés are reported to have been offered more than $4,000 for the single bladder (which weighs 500 grams) of a mature fish. There have been numerous reported instances of illegal cross-border trade in totoaba bladders, including, Man Admits to Smuggling Swim Bladders of Endangered Fish. The fish has been listed as “endangered” since 1979 under the U.S. Endangered Species Act. Between February and May 2013, border inspectors in Calexico, Arizona, seized the swim bladders of more than 500 endangered Totoaba. 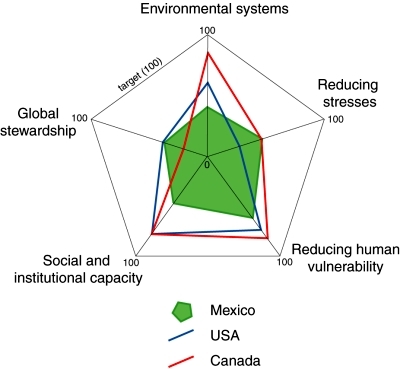 In 2008, Mexico, the USA and Canada launched the North American Conservation Action Plan (NACAP) for the vaquita, under the jurisdiction of the Commission for Environmental Cooperation (CEC), a NAFTA environmental organization. Mexico has also established a program known as PACE-VAQUITA, which compensates fishermen who choose one of three alternatives to commercial fishing: rent-out (payments to avoid fishing in specific areas which are known to have resident vaquitas), switch-out (compensation and inducement to switch technology to vaquita-safe methods), and buy-out (compensation for permanently relinquishing their fishing permits and gear). Clearly, these efforts have not yet paid off and more stringent controls and enforcement are desperately needed if the vaquita marina is to be brought back from the brink of extinction. Opinion: Can Mexico save the vaquitas? Mexico's geography in the Press Comments Off on Goldcorp’s Los Filos mine in Guerrero: mega-mine or mega-disaster? Canadian firm Goldcorp is the largest gold miner in Mexico, with mining concessions covering more than 40,000 hectares. Since 2008, it has been actively developing the mine of Los Filos, in the municipality of Eduardo Neri, which could become Latin America’s largest gold mine. Los Filos is in Guerrero’s “Gold Belt” that runs from Mezcala to Argelia. The open-cast mine at Los Filos is midway between Mezcala and El Carrizalillo, some 50 km from the state capital Chilpancingo. The mining project will employ 800 workers and double the population of El Carrizalillo. The rocks here contain between 0.5 and 0.8 grams of gold per ton of ore. Los Filos is expected to yield 60 million metric tons of gold ore over the next 20 years, as well as some ancillary silver, lead and zinc. The mining operation will require investments of $1 billion over the mine’s anticipated 20-30 year lifetime. The Los Filos project is actively opposed by several environmental groups, including The Mexican Network of People Affected by Mining (La Red Mexicana de Afectados por la Minería, REMA), a network of communities, movements, organization, groups and individuals “affected by, and concerned about, the socio-economic impacts of mining in Mexico”. REMA has joined the campaign to force Canadian mining firm Goldcorp to halt work at Los Filos. 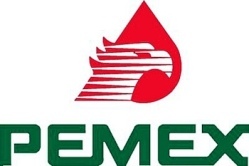 REMA supports the recently created Mesoamerican Movement Against the Extractive Mining Model, which claims that the existing extractive mining model has proven to be “highly predatory”, and has “significantly increased extraction, causing destruction of territory, seriously affecting natural resources, and irreversibly damaging the health of Mexican citizens”. It is especially concerned that hundreds of tons of cyanide have already been used in Mexico to process gold ore, contaminating water reserves. REMA cites Goldcorp’s “Los Filos” mining project in Guerrero as a point of particular concern and an example of what is happening throughout the country. REMA claims that there is inadequate regulation and environmental monitoring and that the project is “causing division of communities, disease and death from the chemicals used and environmental damage through drainage of acids and polluting dusts”. Will Los Filos turn out to be a mega-mine or a mega-disaster? Only time will tell. 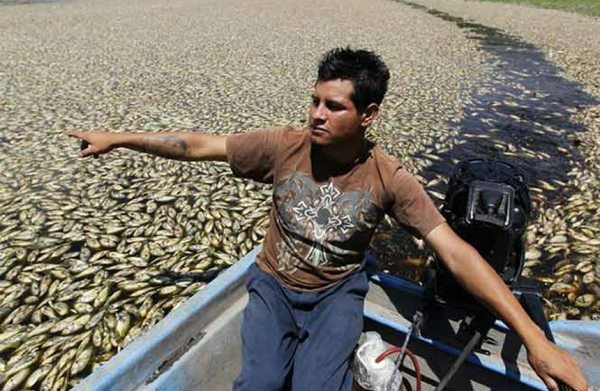 This post presents a short case study of the dramatic ecocide in the Hurtado Reservoir in Jalisco a week ago that resulted in the sudden death of between 200 and 500 tons of fish. 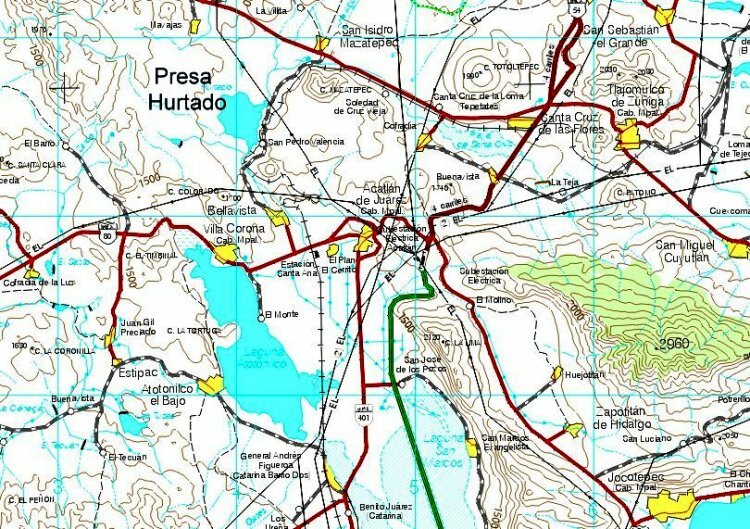 The first reports were made on 25 June when a local government official in San Pedro de Valencia, in the municipality of Acatlán de Juárez, reported to state environmental protection officials that the water in the Hurtado Reservoir was contaminated with something smelling like molasses. Within 48 hours, officials had identified the source, and had conducted a formal inspection, reporting that the water was dark brown in color and contaminated with molasses. According to press reports, an unlicensed firm in nearby Potrero los Charros was using molasses (a by-product of sugarcane mills) as an ingredient to make cattle food. Some of the molasses (melaza) was dumped into the San Antonio stream which carried them into the reservoir. The problem arose because molasses have a very high biochemical oxygen demand (BOD). This means that they require large amounts of oxygen as they decompose. In this case, they required more oxygen than was available in the water in the reservoir, reducing the water’s dissolved oxygen content, effectively depriving all aquatic life of oxygen. While final results are pending, the fish are believed to have died of oxygen starvation. The local fishing cooperative of the Hurtado Reservoir has agreed to accept a moratorium on catching, selling or consuming local fish. The fishermen normally catch and market about 100 kg of fish a day. Health services are offering vaccinations to local residents and all those involved in the environmental clean-up. 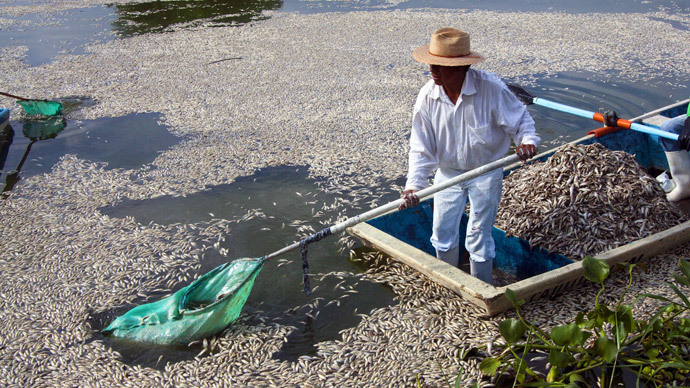 About 100 fish traders in nearby towns (including Tala, Acatlán de Juárez and Villa Corona) have lost a source of income. Within 48 hours of the first report, authorities had ordered the business responsible for the pollution to take immediate remedial action. Meanwhile, authorities began to clean up the dead fish. The fish are being buried in a 30 meter by 2 meter trench about one km away from the lake. Federal officials from the National Water Commission and the Environmental Secretariat were quickly on the scene; they promised access to federal financial assistance. Most of the clean up was carried out by about 100 local fishermen and volunteers, including firefighters. Local officials are also cleaning up the storage area, using tanker trucks to remove an additional 8,000 tons of molasses for appropriate disposal elsewhere. The municipality of Tlajomulco has issued the owner of the company with a fine of about 1.5 million pesos ($120,000) and further legal action is underway. Environmental expert Gualberto Limón Macías estimates it will take between two and four years to rehabilitate the reservoir. The priority is to re-oxygenate the water, possibly using solar-powered pumps, and seed the reservoir with young fish. 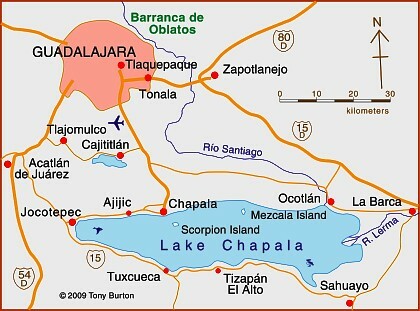 The University of Guadalajara has promised to arrange for a team of experts to provide specialist advice about how best to rehabilitate the lake. Other Comments Off on What are the 10 main pressures threatening the Primavera Forest in Jalisco? 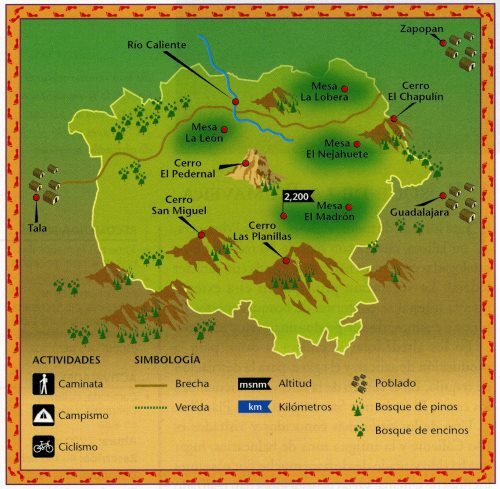 A 1988 Management plan for the Primavera Forest (Plan de Manejo Bosque La Primavera), published by the University of Guadalajara, included a detailed list of the then-existing pressures on the forest. Sadly, not much has changed since then, and almost all the sources of pressure mentioned in that study still apply today. 1. Tourism. Poorly planned recreation areas, such as autodromes and spas. Issues resulting from this source of concern include pollution, waste disposal, soil erosion, landscape degradation, habitat change, reduced fauna and, switching to a human focus, delinquency. Motorcycles and trail bikes are a particular problem because of the associated noise pollution, annoyance and risk to other visitors, habitat destruction, the displacement of fauna and often lead to accelerated soil erosion. 2. Ejidos. 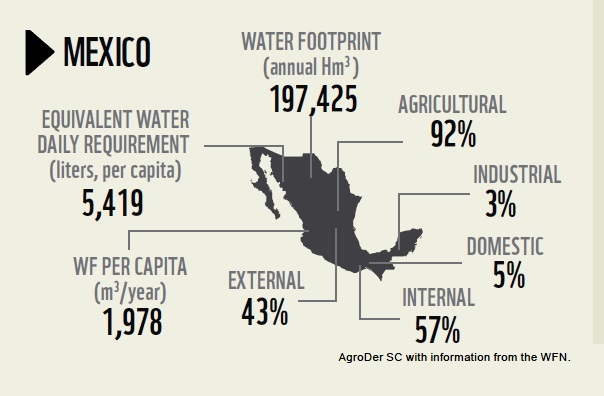 Any expansion of neighboring ejidos means more homes, deforestation and landscape alteration. 3. Quarrying. The quarrying of local rocks such as pumice or river deposits, as well as a number of abandoned quarries can result in habitat destruction, erosion, forest degradation, accelerated mass movements (landslides, rockfalls), posing a risk to infrastructure, access routes and the potential pollution of ground water. 4. Hunting. Hunters leave spent cartridges that can pollute the soil, as well as wounded and abandoned animals. Larger fauna have become progressively more scarce. In addition, the presence of individuals carrying firearms poses a security threat. 5. Cultivation and Overgrazing. Increased cultivation (primarily for sugar cane, corn and beans) has gradually nibbled away at the edges of the forest, with the clearance method of slash and burn being a particular problem since it greatly raises the risk of wildfires, soil degradation and deforestation. As the number of access routes increases, it is easier for local farmers to graze livestock in the forest, reducing the health of the grassland, and leading to a relative abundance of unwanted plants and weeds, accelerated soil erosion and the possible contamination of water sources. 6. Deforestation. Deforestation is also a pressure on the forest, in which the cutting of woodland for fuel (including bonfires) and for firebreaks, leads to changes in habitat and soil use, with the secondary effects of increased erosion, reduced ground water recharge and varying degrees of secondary forest succession. 7. Geothermal Power. The potential development of some areas for geothermal power by the Federal Electricity Commission (CFE) has already involved the opening of access routes and would lead to noise contamination (with adverse effects on fauna) and possible pollution of ground water, air and soil, as well as deforested hillsides. The loss of vegetation cover would trigger accelerated erosion, and habitat destruction, further reducing water quality. Access routes attract other “users” such as those seeking to quarry local rocks or clear land for farming. 9 Wildfires. Wildfires, such as that in 2012, destroy vegetation and cause a general degradation of the woodland. They can result in the accelerated degradation of soil, water and vegetation, leading to significant changes to soil structure, as well as increased runoff and reduced groundwater recharge. 10. Inadequate regulations. The problems faced by the Primavera Forest are compounded because the relevant local authorities have shown little interest in ensuring adequate regulations, supervision and enforcement. Many of these ten major pressures are closely interrelated. Despite the good intentions back in 1988, it is clear now, with the benefit of hindsight, that the 1988 management plan did not achieve very much. Hopefully, in the not too distant future, and as the Primavera Forest gains international status as a possible Geo-Park, a more comprehensive and effective management plan can be devised and implemented. 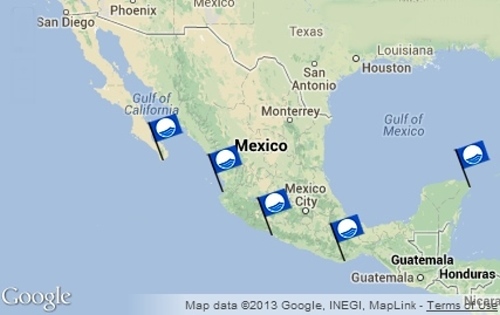 This post describes several newsworthy developments relating to Mexico’s natural environment. The Inter-American Development Bank is giving Mexico $15 million in financial and technical assistance to support climate change mitigation efforts. The program will help communities and ejidos finance low carbon projects in forest landscapes in five states, all of which have high levels of net forest loss: Oaxaca, Yucatán, Quintana Roo, Jalisco and Campeche. The program includes a $10 million loan for financing projects that must reconcile economic profit for the communities and generate environmental benefits through reducing the pressure on forests and promoting enhancement of carbon stocks. In addition, a $5 million grant will provide financial and technical assistance to support the viability of individual projects, by strengthening technical, financial and management skills. A Mexican company called Biofase has developed a way to turn avocado pits into 100% biodegradable plastic resins. Avocado pits are normally discarded as waste. Biofase will collect some of the estimated 30,000 metric tons of avocado pits discarded each month for processing. The company has patented the technology and is looking for additional raw material containing some of the same chemicals as avocados. A presidential decree signed last November prohibits the harvesting of the hallucinogenic peyote cactus from two protected areas in the state of San Luis Potosí. The decree has met fierce opposition from the indigenous Huichol (Wixarika) people, for whom the peyote is a sacred plant. The Huichol undertake a lengthy pilgrimage each year to gather peyote for subsequent use in their ceremonies. The restriction on peyote harvesting is the latest in a long line of problems faced by the Huichol including the incursion by a large number of mining companies onto traditional territory. The Regional Council for the Defense of Wirikuta has demanded that the government guarantee the Huichol’s right to pick peyote, and called for the cancellation of 79 mining concessions (most of them to Canadian companies) that impinge on their sacred land. Critics claim that mining is having a devastating impact on the local environment, especially because the companies involved are using large quantities of highly toxic cyanide. Expand the port or protect the coral reef? In Avalan destruir arrecifes para ampliar puerto de Veracruz published in Mexico City daily La Jornada, Luz María Rivera describes how one of the final acts of the previous administration was to redraw the boundaries of the protected area of coral reef off the coast of Veracruz state. The new boundaries have reduced the protected offshore area near the cities of Veracruz, Boca del Río and Alvarado by about 1200 hectares (3000 acres). 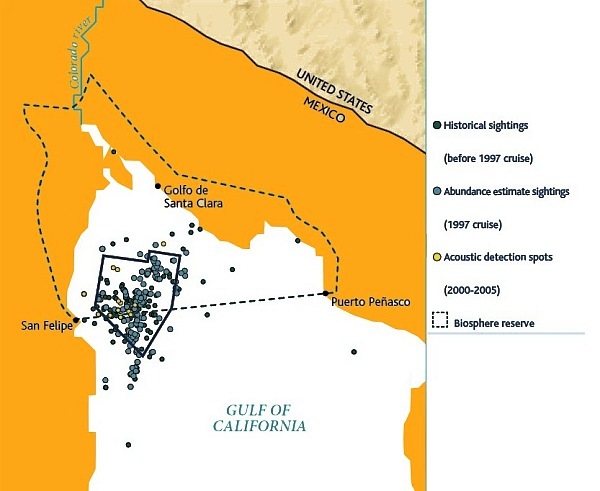 The redrawing of the protected area is to enable the expansion of the port of Veracruz, one of the country’s largest, and almost double its capacity. Government officials claimed that the area affected was already “damaged” and that the reef system was 98% or 99% “dead”. The Mexican government has signed an accord with the NGO Pronatura Noroeste to improve the protection of Laguna San Ignacio, the Pacific coastal lagoon which is a major breeding ground for gray whales. The lagoon has 400 kilometers (250 miles) of coastline, bounded by wetlands and mangroves, and is part of the El Vizcaino Biosphere Reserve in the northern part of the state of Baja California Sur. The accord calls for joint development of plans for protection, monitoring and tracking the whales and other species that inhabit the lagoon, as well as establishing protocols for resolving any eventual environmental contingencies.